To the self storage professionals at StaxUP Storage, giving back to the community is just another part of the job. 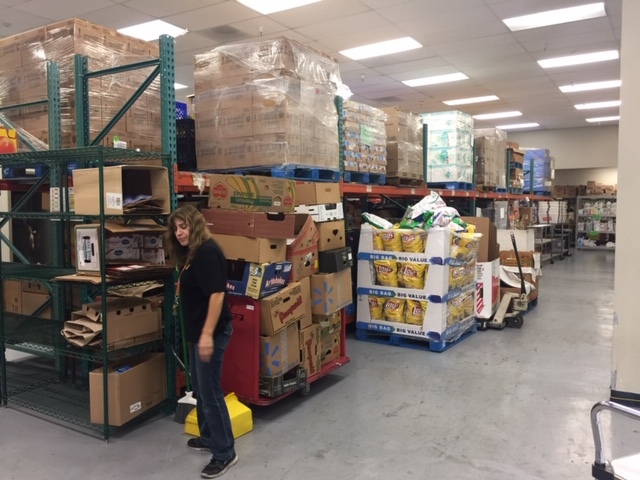 Teresa Kohutek, Manager at StaxUP Storage in Murrieta, California recently wrapped up a food and clothing donation drive that her facility has been hosting since October. “The drive went really well. As a matter of fact, I had a lot of tenants bring in different things and then Emily and myself topped it off. For the first food drive we’ve ever done, it turned out really nice,” Teresa said. 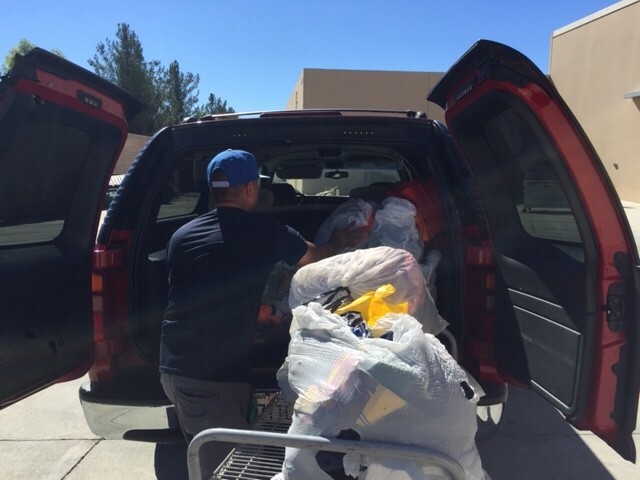 StaxUP Storage in Murrieta raised clothing donations for Second Hand Treasures and food donations for St. Martha’s Food Pantry. 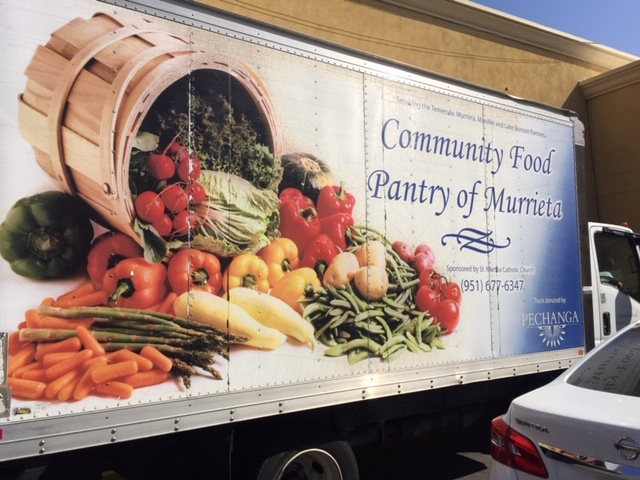 The food pantry feeds 540 families in the area on Wednesdays and Thursdays. Registered families are encouraged to stop by the food pantry and pick up a basket of food on these days. 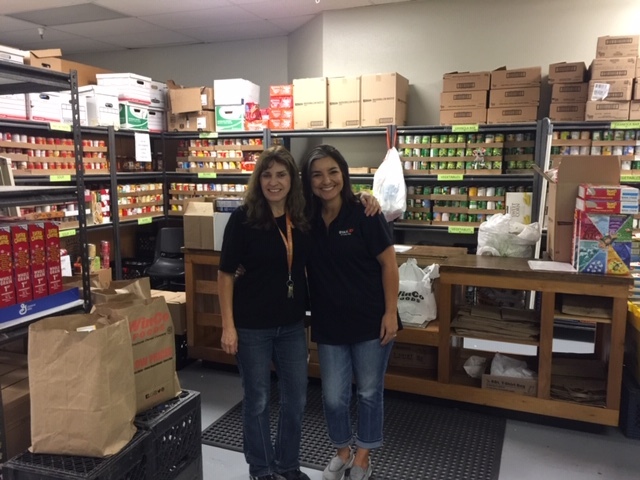 Teresa and Assistant Manager, Emilie Freitas, were able to take a tour of the food pantry when dropping off their donation. 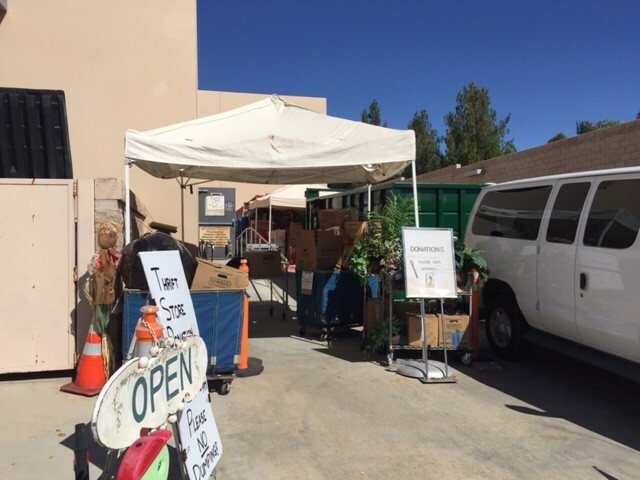 This is the first year that StaxUP Storage in Murrieta has put on a community-driven food and clothing drive. Before this though, Teresa saw a need at her facility that led her to start thinking about how she could help recycle the goods she saw being brought to (and left in) the self storage facility. 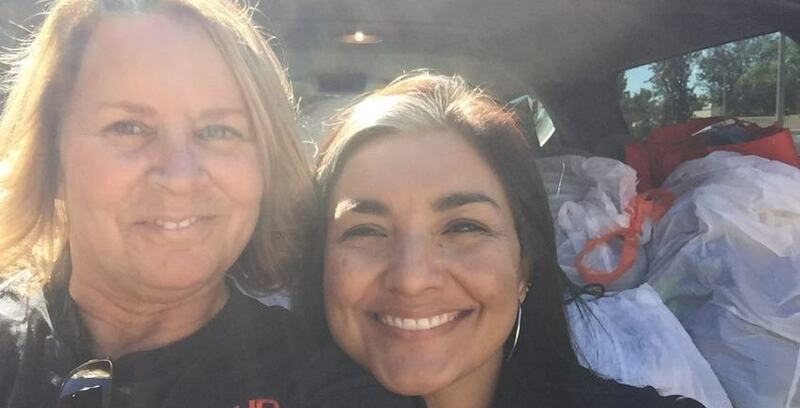 The overall success of the food and clothing drive at StaxUP Storage in Murrieta was due to a combination of many factors including Teresa and Emily’s infectious enthusiasm for the drive and the fact that it was a great time to solicit clothing and material donations. Helping out and being helped at the same time is a great feeling. Teresa and Emily want their tenants and the community to know that they are grateful for their generosity. 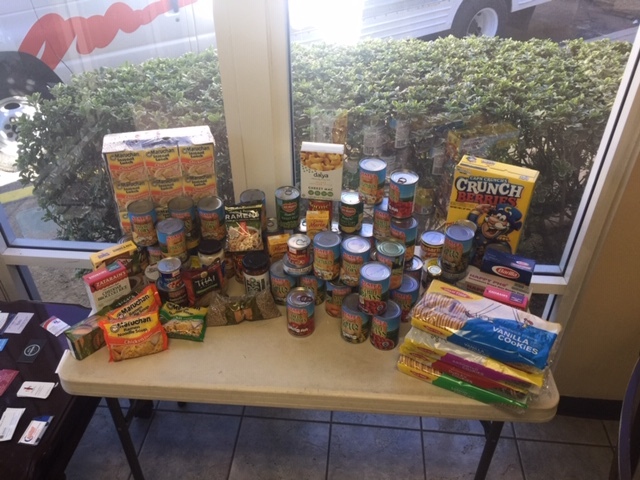 Even though the entirety of StaxUP Storage portfolio is launching into the Strat Gifts of Love donation drive during the coming months, Teresa is already thinking of ideas for next year’s food and clothing drive. “I would really like to put the word out more. I have signs hanging around my facility, but I really want to reach out to my tenants if I see them come in or maybe send them out a nice email,” Teresa said. We hope everyone who participated in this food and clothing drive feels good knowing their donation is doing so much to help those in need! Developing strong bonds with the communities we serve is essential to providing quality service. It is our pleasure to enrich the lives of our self storage professionals and encourage them to not only be great Managers but great people too.